Posted on April 21, 2019 by Kristen. Happy Easter (my favorite holiday)! I’ve spent the weekend puppy-sitting which adds even more joy to the holiday. The incredibly soft bundle of cuteness with the foxlike ears and Tigger bounce called Samosa is helping to reduce my frustrations over having to work over the weekend on a last-minute presentation. Today also marks the day that I can re-introduce boba (aka happiness) back into my life. I am now accepting boba dates! Tuesday is the big night this week as KidEyes headlines at The Bootleg Theater. This is one of my new favorite bands, so you should come check them out if you can. Posted on April 14, 2019 by Kristen. Posted on April 7, 2019 by Kristen. Posted on March 31, 2019 by Kristen. Posted on March 24, 2019 by Kristen. I have a weird sense of humor. And by that, I mean I don’t find funny the things a lot of other people find funny. This was the topic of conversation at my department meeting last week. When asked for an example of something I would laugh at, I busted out a video of Joey Ryan explaining the history of the ampersand in the middle of The Milk Carton Kids show. I am SO ready to laugh this Monday at Largo as The Milk Carton Kids present the Sad Songs Comedy Hour! It’s the start of a big week. Hopefully I’ll be ready. Last week, I had to take some time to rest in order to recover from my SXSW experience. Speaking of, I found a few words (perhaps a few too many) on that week. Plus, I put together a lovely playlist. Check it out here. Posted on March 23, 2019 by Kristen. In my near decade going to SXSW, this is the first year that the music festival got the better of me and I had to miss a day+ of programming due to food poisoning. The ugly setback meant missing several must see acts, but the week in Austin still provided plenty of highlights. 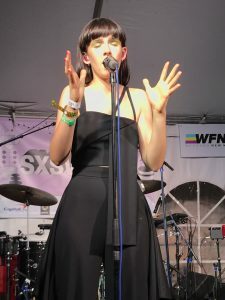 Here’s what I gleaned from my SXSW 2019. 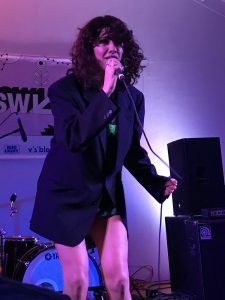 Donna Missal SLAYS – my favorite set of the week was Donna Missal at the VEVO House, but every time Donna takes the stage (including at a 7am radio show), she commands the audience with a vitality and passion that emanates from every fiber of her being. A woman on a mission and with a message, Donna uses her platform to preach the importance of inclusion, togetherness, and women working with, instead of against, one another. More please! The future of music is female – at the close of the day on Tuesday, I realized that every single act I saw that day (save one) had at least one woman on the stage! My list of favorites reads like a list of rising female singers: Angie McMahon, Samia, Robinson, Minke, Charlotte OC, ROE…all acts I’m super excited to follow. Despite one depressing conversation with a music business guy about the struggles of women in the music industry, the future of music, to me, looks decidedly more female. Welcome back to Austin, Dear Boy! – One of the best parts of SXSW is seeing one of your favorite local bands in a different city. This year, that band was LA natives, Dear Boy. Armed with a smashing new EP, The Strawberry EP, (which includes one of my favorite Dear Boy songs, “Limelight”), the quartet returned to Austin ready to shine. And they were greeted with open arms, finding new fans (and bringing out long-time supporters) with every show. Welcomed indeed. 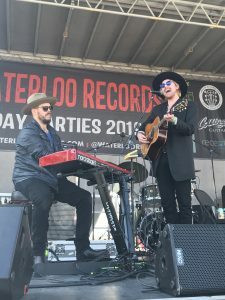 Acoustic sets for the win – I saw plenty of amazing rockers this year (Reignwolf, Quiet Company and Black Pistol Fire leap to mind), but many of my top sets were bands who chose a more acoustic route. Jamie N Commons, who knows how to rock, came to Austin with just a keyboard and guitar…and I loved it! 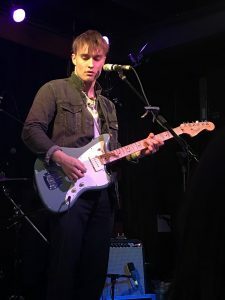 Second Play stages afforded me the opportunity to see two of my new faves, Robinson and Apre, play more stripped down, intimate, and memorable sets (as I curled up on a couch and gave my feet a much-needed break). Finally, an early morning radio show hosted both X Ambassadors and Judah & The Lion whose acoustic versions of “Unsteady” and “Pictures” overwhelmed me with the most emotion I felt all day (if not all year). Best 1 AM Set: Jared & The Mill – if you haven’t already, you need to check out their new album, This Story Is No Longer Available. This band keeps getting better and hearing all the songs at 1 in the morning just made them feel even sweeter. Best Dance Party: Pip Blom – they know how to party in the Netherlands! Best Venue: British Embassy (Latitude 30) – Although they got rid of my Biffy Clyro poster and still don’t have anywhere to sit, they bring in the BEST lineups, day and night, hands down. A trip to the British Embassay will never end in disappointment. Top acts seen there include ROE, Sports Team, whenyoung, Thyla, Saint Phnx, and Anteros. 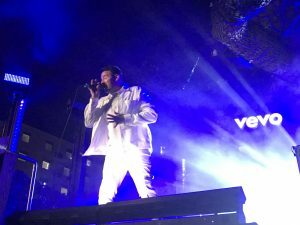 Best Party: VEVO – for two nights in a row, I planted myself for a time at the VEVO house. They had excellent food (plus ginger beer), a chill atmosphere which fostered good conversation, and, despite the awkward stage angle, the party seemed to bring out the very best in their awesome lineups (highlights include Donna Missal, Sam Fender, and Morgxn). Most Seen Act: Dean Lewis – gotta see him now before he becomes too big for me! 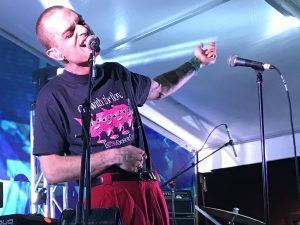 Biggest Misses (by me) – The Amazons, The Howl & The Hum, Briston Maroney, King Princess, the last Dear Boy and Jamie N Commons sets, Fatherson – my SXSW was going to end with the one, two punch of Dear Boy and Fatherson at Lamberts. I even tried to make it out figuring I’d sit in the back and just listen, but the smell of the BBQ was nauseating, and I couldn’t last more than 20 minutes. Darned food poisoning. Next time! Posted on March 17, 2019 by Kristen. Back from Austin just in time to celebrate my birthday tomorrow. It’s rare for me to be in town for the occasion so I’m hoping to make the most of it with a post work beach bonfire. More on my SXSW in a separate post, but we do have some of the SX-bands in town this next week. Don’t miss your chance to see Another Sky, whenyoung, Lucy Spraggan, Clavvs, Angie McMahon, Liily, Husky Loops, The Pearl Harts, Alice Phoebe Lou, No Win and more! SXSW is the best, but the week after is never too shabby.